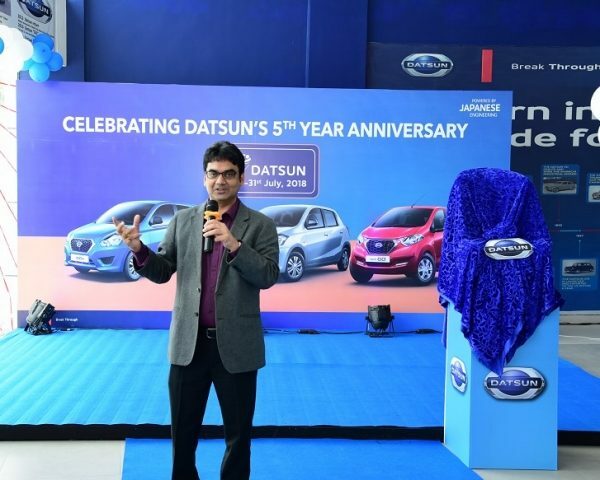 Rohtak, India (24 July, 2018) — Datsun today kicked-off its biannual service campaign, ‘Happy with Datsun’ which will run across all Nissan and Datsun outlets between 24th to 31st July, 2018. The campaign is aimed at providing a delightful ownership experience to Datsun car owners, the 9th edition of it is a testament to brand’s efforts to ensure hassle free ownership experience for its customers. 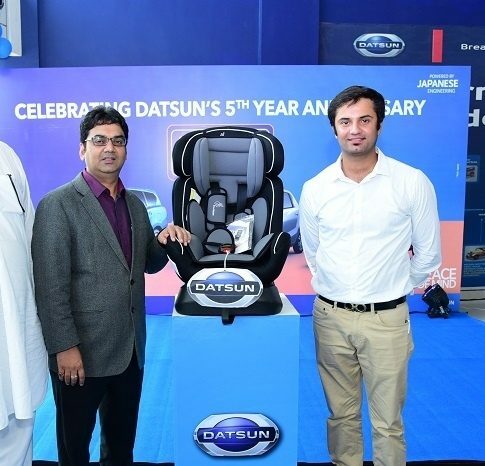 Datsun also itroduced international standard child car seat which is engineered to meet and exceed European Safety Standards. Equipped with features like side-impact protection, 3-position recline, and a 5-point safety harness to add extra protection, the child seat can be retro-fitted as an accessory across all Nissan and Datsun models. Nissan and Datsun customers can also avail 10% discount on the ‘Child Seat’ during the ‘Happy with Datsun’ week. Commenting on the occasion, Sanjeev Aggarwal, Vice President (Aftersales & Supply chain), Nissan Motor India Pvt. Ltd., "Customer centric mind-set is imperative while delivering a high quality experience to our valuable customers. We strongly believe that after-market services are imperative to enhance customer experience, and frequent service camps serve as an ideal platform to interact with a larger customer base”. The Happy with Datsun service camp includes free vehicle check-up, free top wash, attractive discounts on accessories, 10 percent discount on labour charges and assured gifts. Customers will be offered a comprehensive 60-point vehicle health check-up, and a host of service offers at attractive prices at the camp. Celebrating its fifth anniversary in India, Datsun recently launched ‘Peace of mind’, a comprehensive package which offers a host of services that includes 5 years / unlimited km warranty, 24x7 road-side assistance, free insurance, free pick-up and drop facility, and with a special scheme for current and retired government employees. Nissan Motor Co., Ltd. announced the return of the Datsun brand, Nissan's third global brand, alongside Nissan and Infiniti, in March 2012. Datsun provides a sustainable motoring experience to optimistic up and-coming customers in high-growth markets. Datsun represents 80 years of accumulated Japanese car-making expertise and is an important part of Nissan's DNA. Datsun started sales in India, Indonesia, Russia and South Africa from 2014. For more information, visit www.datsun.com.